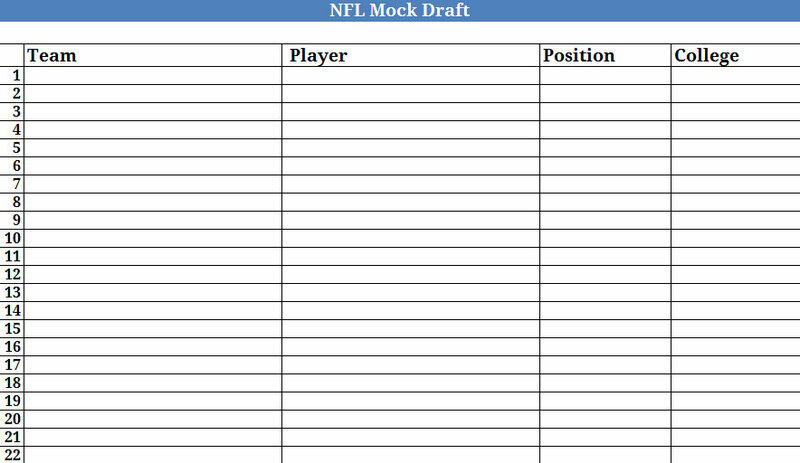 Download this blank NFL Mock Draft to predict the players being drafted. Fill in your predictions or print it out and manually write in the predictions. 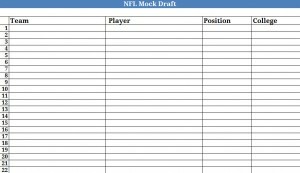 Download this NFL Mock Draft today!